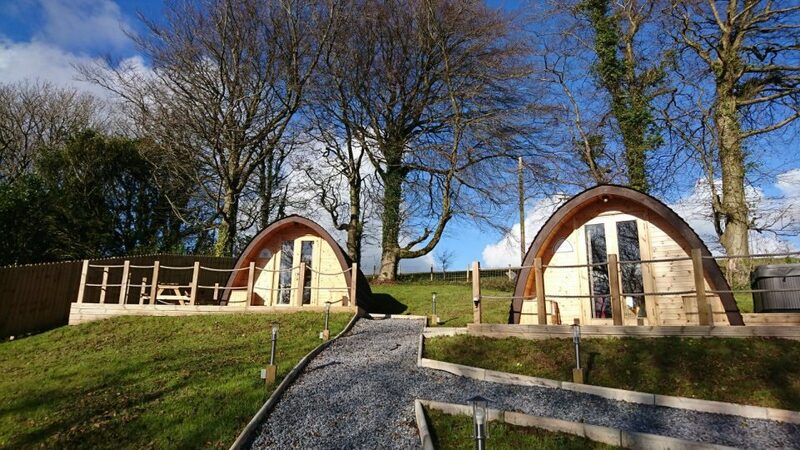 Pods @ Broadway are perfect for your glamping holidays in Wales and are a self catering option with your own private kitchen area in each pod. 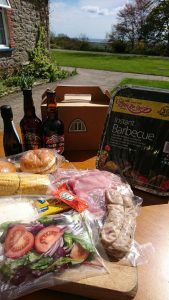 However to help you with your shopping or even cooking, we've got some great optional extras available for you. 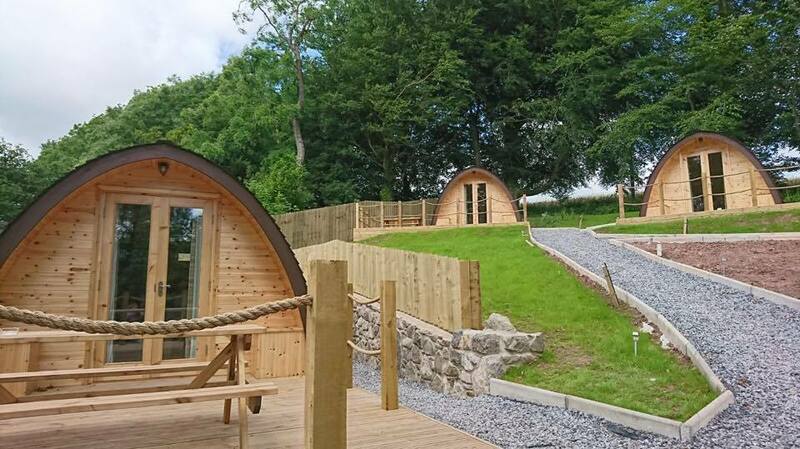 Our extras will be available to book online soon however in the meantime they can be purchased when you arrive at Pods @ Broadway. 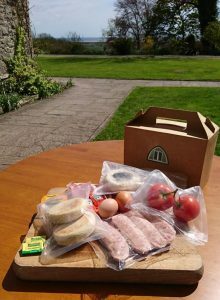 Our delicious breakfast box for 2 includes everything you need to cook a delicious full Welsh breakfast in the comfort of your own pod. 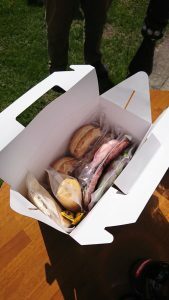 We supply the ingredients and you do the cooking, and it all comes in a handy box. 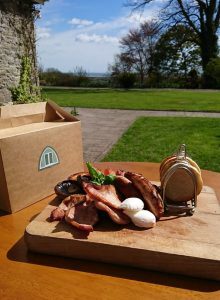 Breakfast boxes can be delivered to your pod at an agreed time or collected at reception at Broadway Country House, but please book 3 hours in advance. .
Everything you need for a Pods @ Broadway BBQ, and all in a handy box to collect from Broadway Country House. Just light the BBQ and sit back and relax. 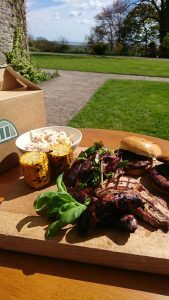 BBQ boxes can be delivered to your pod at an agreed time or collected at reception at Broadway Country House, but please book 3 hours in advance. 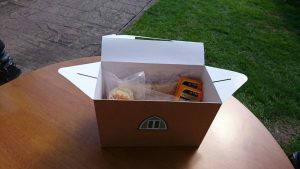 Afternoon Tea boxes can be delivered to your pod at an agreed time or collected at reception at Broadway Country House. 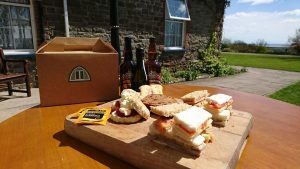 Order and collect your pizza from Broadway Country House to enjoy in the comfort of your own pod. Our pizza choices can be found on our restaurant menu. Our evening restaurant is open for residents from 6pm – 8.30pm Monday until Saturday and 5.30pm - 7.30pm on Sunday. Please note that we will not be serving evening meals when we have a wedding at Broadway Country House, see our available dates for the Summer below and booking is essential on Saturday evenings. Our popular Sunday lunch carvery will be served from noon until 2:30pm between October - April. With an array of locally sourced meats and vegetables our Sunday carvery has proved a triumph among the locals. See our menu below to find out more. Please contact us on info@podsatbroadway.co.uk or 01994 427 969 to arrange any of the extras listed above.